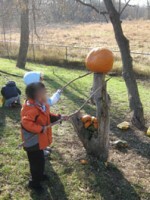 Dodge Nature Preschool is located at the Thomas Irvine Dodge Nature Preserve in the heart of West St. Paul and Mendota Heights, Minnesota. Founded in 1967, by Olivia Irvine Dodge, a true pioneer in environmental education, Dodge was one of the first nature centers in the state of Minnesota. 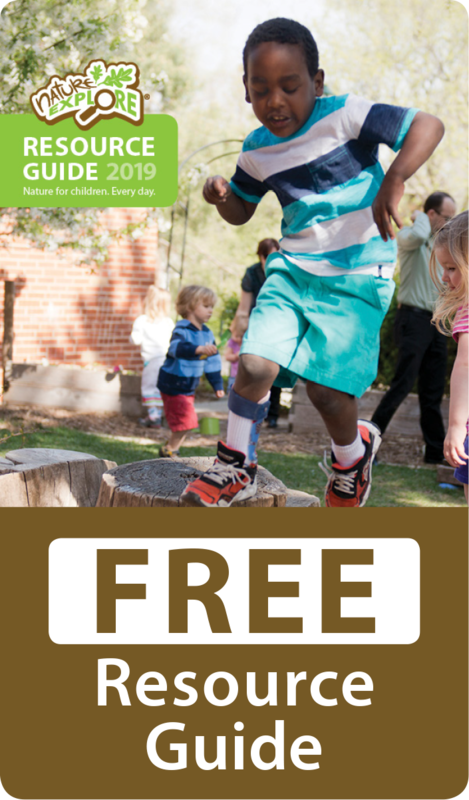 Consisting of hardwood forests, lakes, wetlands, prairies, a working farm, orchard and bee apiary, the landscape of the Dodge Nature Preschool promotes discovery, experimentation and a connection to the wonders of the natural world. 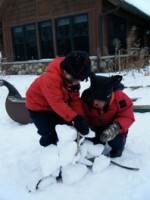 Hillsides, hedges, rock berms and plantings offer natural divisions of areas throughout the Nature Explore Classroom. Incorporating a combination of different types of surfacing including grass, mulch, pea gravel, woodchips and other living plants, children know they are entering a special, new space. Signs also help parents and adult visitors better understand the intention for certain areas. Surrounded by the shade of arborvitae, dogwood, maples these magnificent trees help the classroom to stay cool during hot summer days and provides a bounty of interesting natural materials to explore. Creative names for areas in the classroom include Muskrat Den, Loose Parts, Art Patio, Wind Chime Tree, Preschool Garden and Gathering Circle. 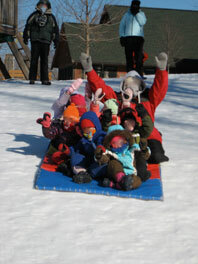 Each area offers a multitude of adventures for children as they engage in outside activities. Staff and children take a lead role in choosing what is planted in the garden spaces each year. In fall and spring, families volunteer to assist with maintenance tasks and special projects. 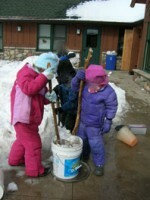 Many families made rain barrels and willow huts at their own at home after helping out with these projects at school. 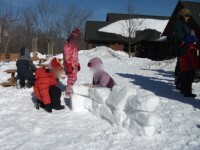 When the seasons change and the snow falls in Minnesota, there are always new ways to use the areas and build and create art with nature.